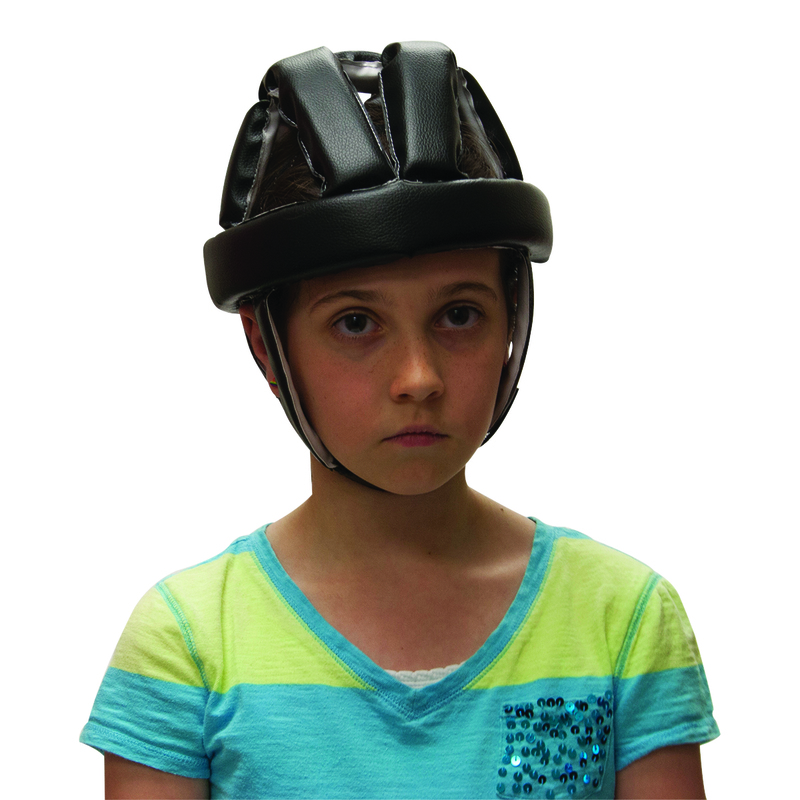 A protective helmet should be worn to protect the special needs person from the dangers of physical activity, potential strike hazards (floor, wall, furniture, etc. ), self-abusiveness, seizers and spasticity. The washable soft-top helmet protects the front, back and side of the head. Outer covering filled with shock absorbent material. Helmet comes with an adjustable Velcro chin-strap to keep the helmet in place.